Berries, melons, stone fruit, and more. They’re all reaching peak flavor in our part of the world. So how about using them in a gorgeous dessert? This fruit salad is quick enough for a weeknight dinner, but elegant enough for the fanciest party. (You can even replace the champagne with sparkling cider if you want a nonalcoholic version). 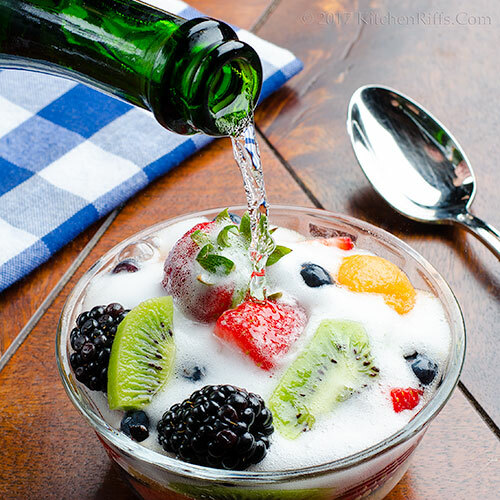 You’ll have plenty of bubbly left over, too, so you can pour everyone a glass to accompany dessert. 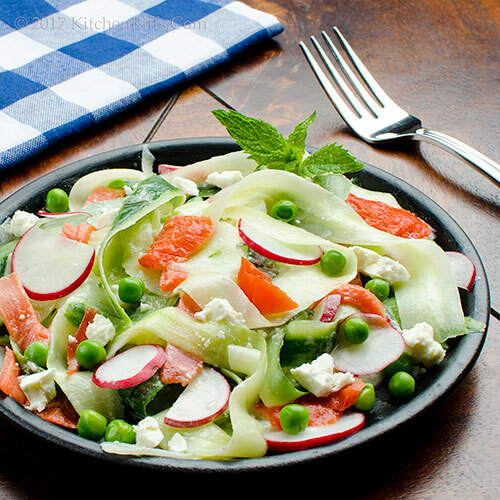 Your guests will love the great fresh flavor of this salad. Not to mention the bubbles. Here in the US, we’ll be celebrating Memorial Day this weekend. And that means the start of cookout season. Problem is, the weather forecast says rain in our area. Bummer. Fortunately, we have the perfect dish for days when the weather gods refuse to cooperate. 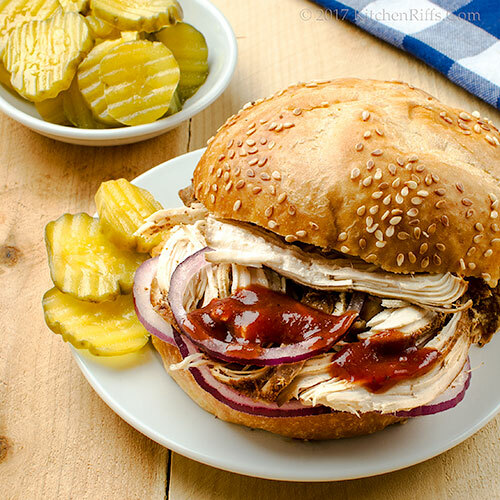 This slow-cooker BBQ pulled chicken tastes like you cooked it long and slow over an outdoor smoker. But you never need to leave the house. Most of the cooking is unattended, too, giving you time to do other things. Like chat with your guests over a cocktail. Or two. As the weather grows warmer, we need something to tease our appetites. Something like this simple-to-make (and delightful-to-eat) summer salad. It’s got great color, and better flavor. 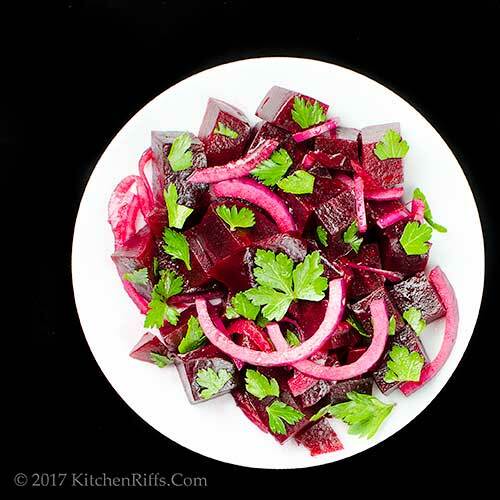 And it’s a wonderful way to use all the locally grown beets that show up in markets this time of year. Cucumbers and smoked salmon, tossed with creamy feta cheese dressing. What’s not to like? Especially when you add green peas for color and radishes for perk. Serve this dish of scrumptiousness as a starter. Or spoon up extra-large portions for a light main course. This salad is quick to make, so it’s ideal for weeknight dinner. But it’s also fancy enough to serve at your next dinner party. Like maybe your Mother’s Day celebration this weekend? Ready for a scotch-based drink inspired by a bullfighting flick? Of course you are! In 1922, Rudolph Valentino was at the height of his fame. Cinemas everywhere were showing his latest work, Blood and Sand. It was thrilling stuff. And this namesake drink does the film justice. 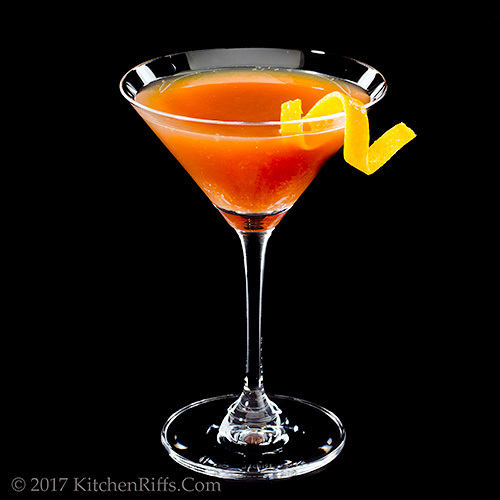 A mix of scotch, Cherry Heering, sweet vermouth, and orange juice, the Blood and Sand Cocktail smolders with dangerous allure. Just like Valentino himself, you might say. Still not enough to persuade you? Well, there’s also a tequila version of this cocktail, which is perfect for Cinco de Mayo (more about that in the Notes).